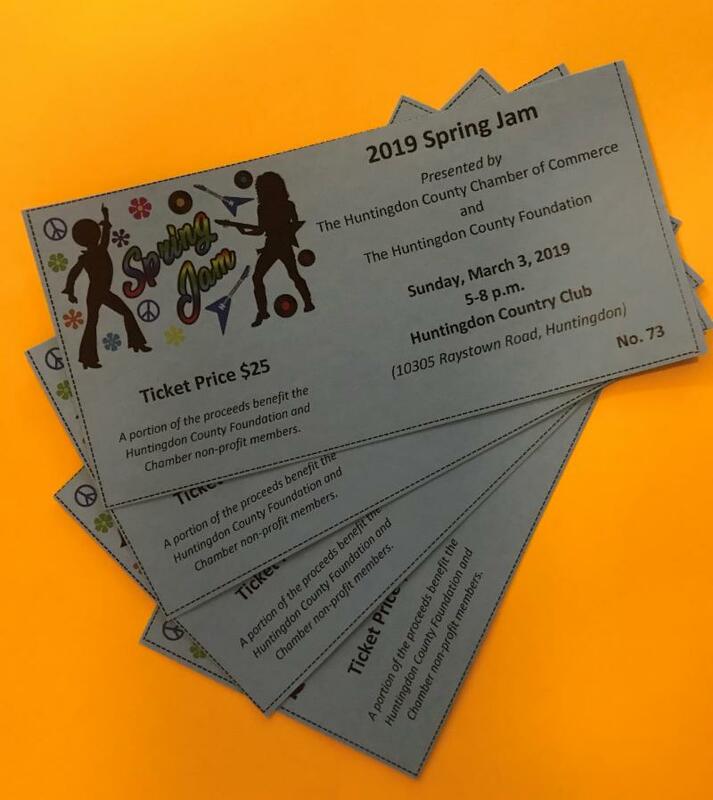 Chamber Bucks, 2019 Spring Jam, Community Improvement Awards & More! 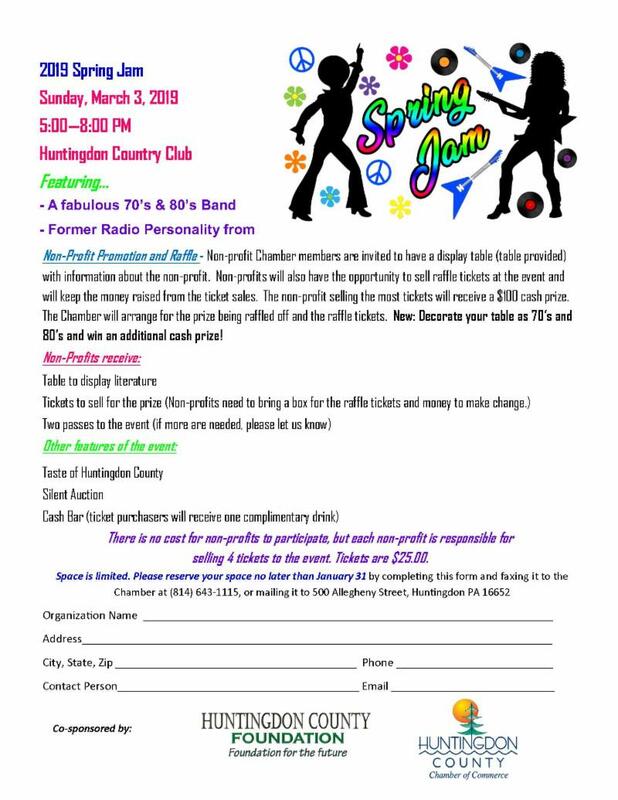 Tickets for the 2019 Spring Jam (formerly the Winter Blues) are available now! 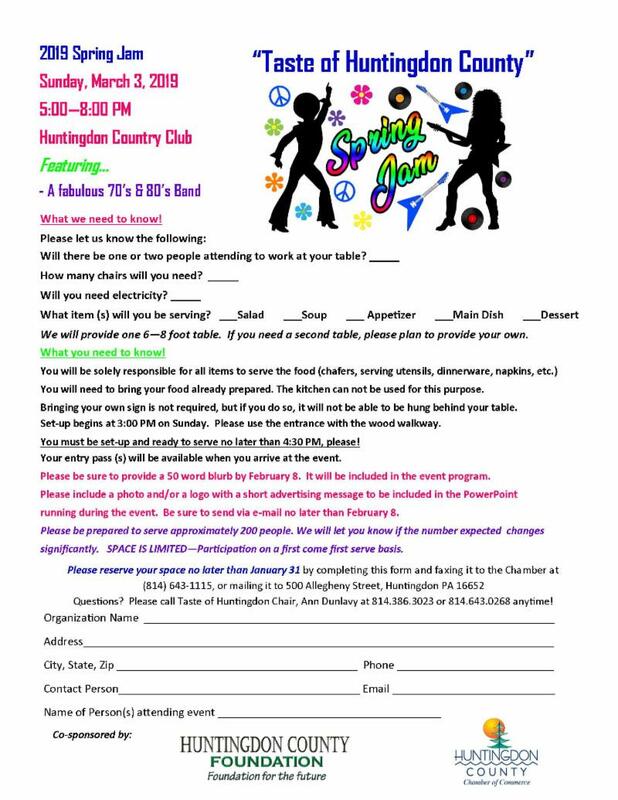 You can purchase tickets in the Chamber office at 500 Allegheny Street, Huntingdon. 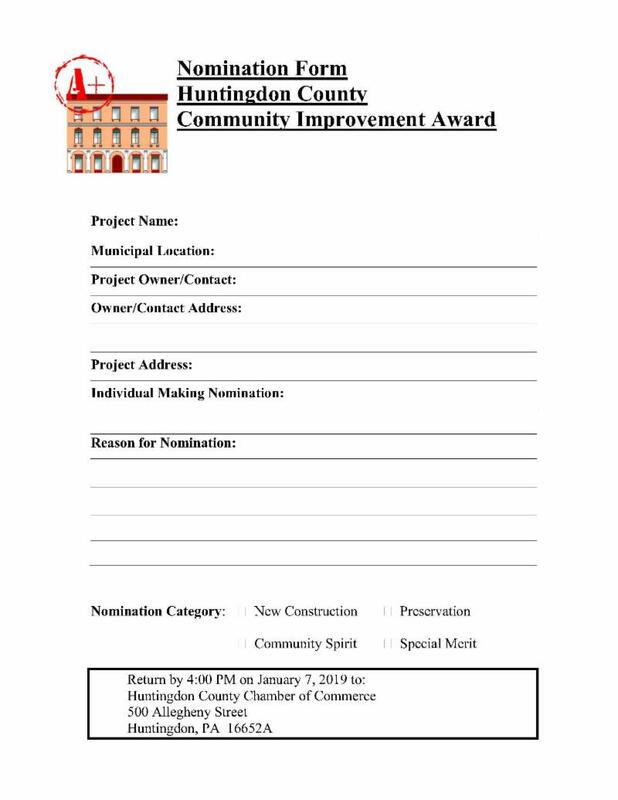 Please click here for more information about the Community Improvement Awards. 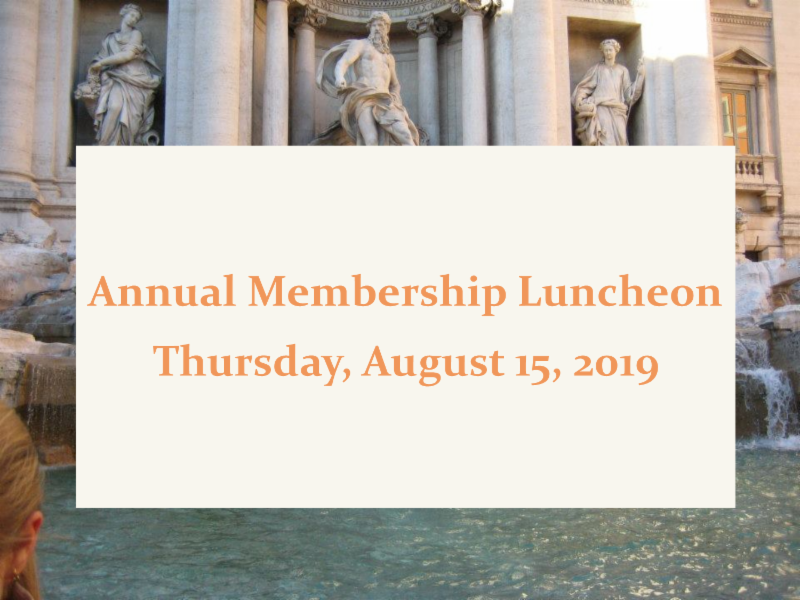 Chamber Bucks are back! These make great stocking stuffers, gifts for employees and gifts for the hard to buy for. Best of all, they keep dollars locally. 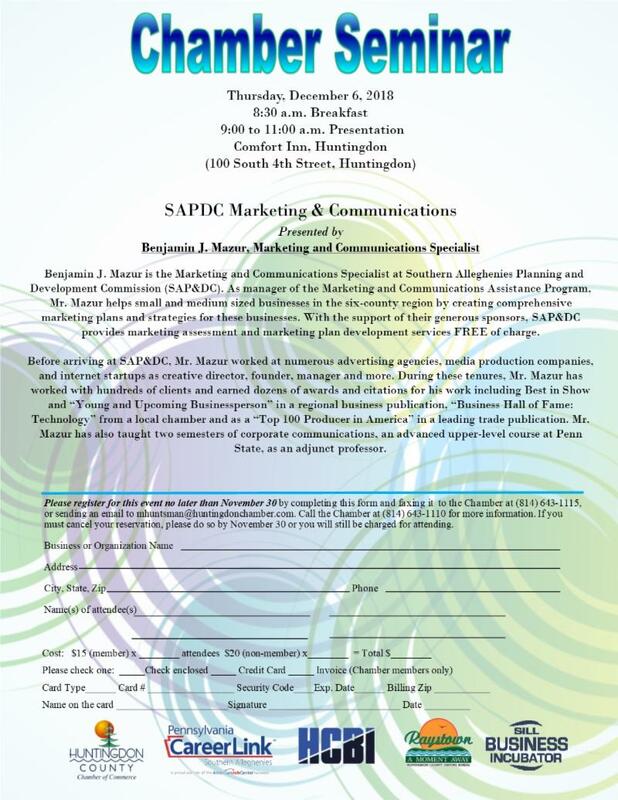 Please call ahead if you're going to be making a purchase for several Chamber Bucks so the Chamber can prepare. 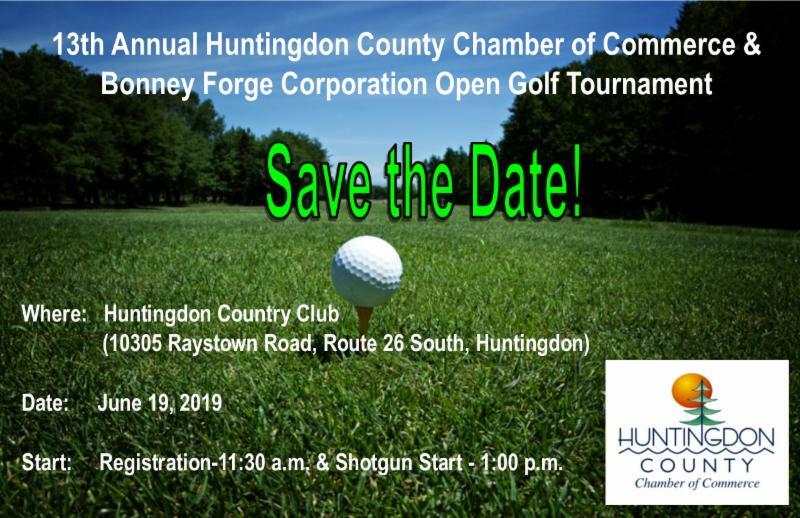 Confirmed participants are: GoDezi, ReKlaimed Vines Winery and Vineyard, Cricket Wireless at One-Stop, Cassville Country Store, Hoss's Steak & Sea House, Walkin' the Dog, Family Chiropractic, The Uniform Place, Big Belli Deli, Standing Stone Coffee Company and The Garlic Clove. 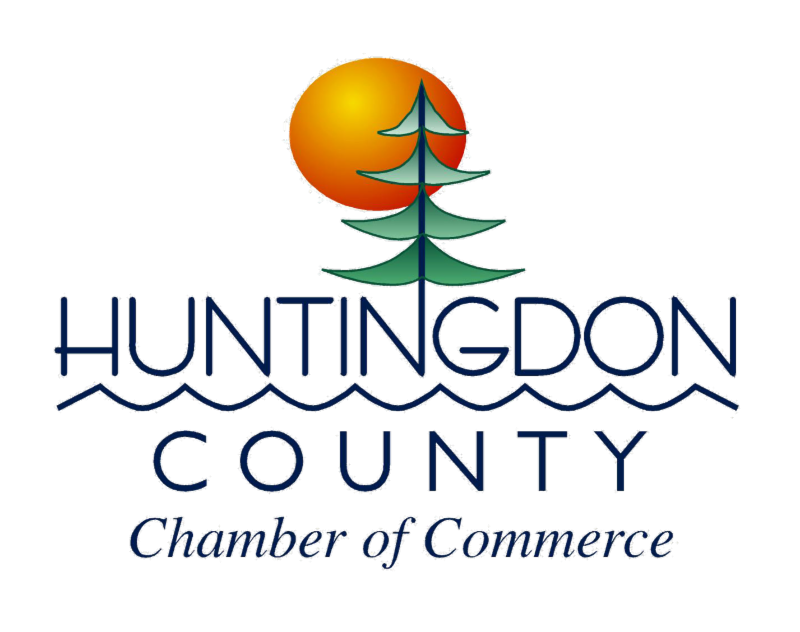 If you want to accept Chamber Bucks, please email ymartin@huntingdonchamber.com. 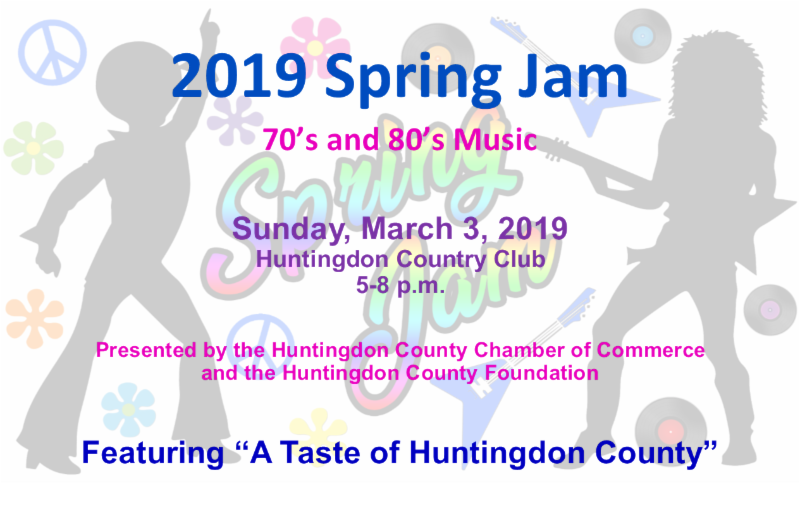 We're currently seeking Chamber member restaurants and non-profits to participate in the Spring Jam (formerly known as the Winter Blues) at the Huntingdon Country Club on March 3, 2019 from 5:00 to 8:00 p.m. For more information, please click here. There is an award-winning summer economics education program that for forty years has benefited our local students. Pennsylvania Free Enterprise Week (PFEW) immerses rising high school juniors and seniors in the world of business, allowing them to experience firsthand what you face each day. 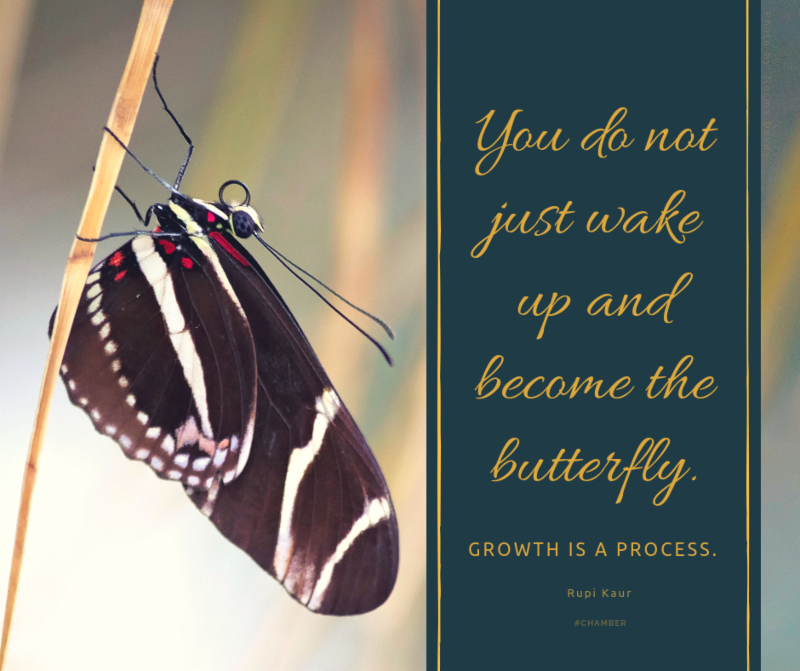 Offered by the Foundation for Free Enterprise Education, PFEW was founded specifically to teach students about the American private enterprise system and provide tools to help students become the great employees and employers of the future. 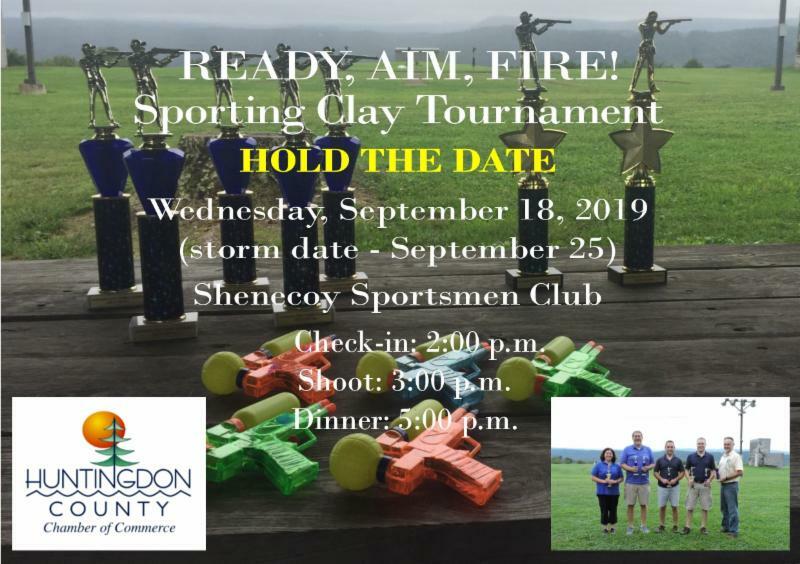 PFEW annually holds five week-long sessions in July and August on the campuses of Lycoming College and the Pennsylvania College of Technology in Williamsport, PA, serving nearly 2,200 students and 250 volunteers each year. Need help finding employees? 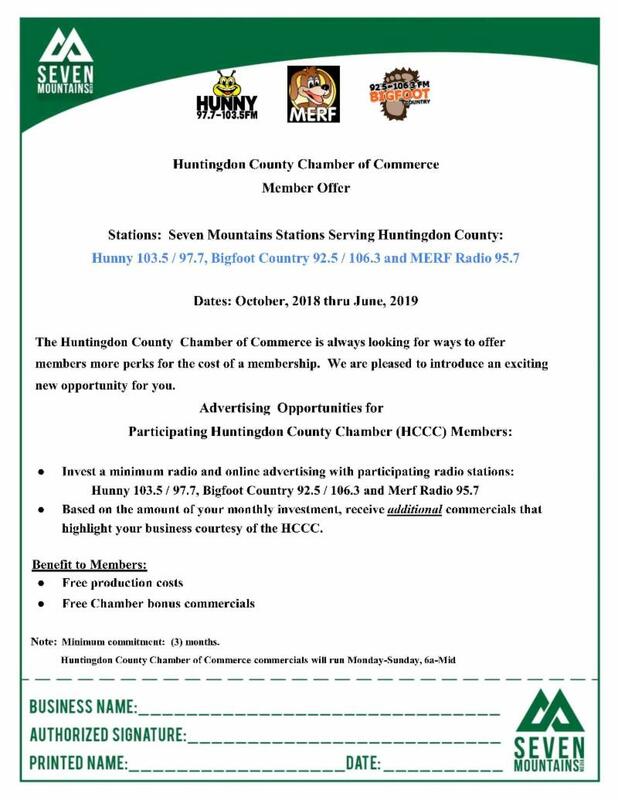 Let the Chamber help you get the word out. 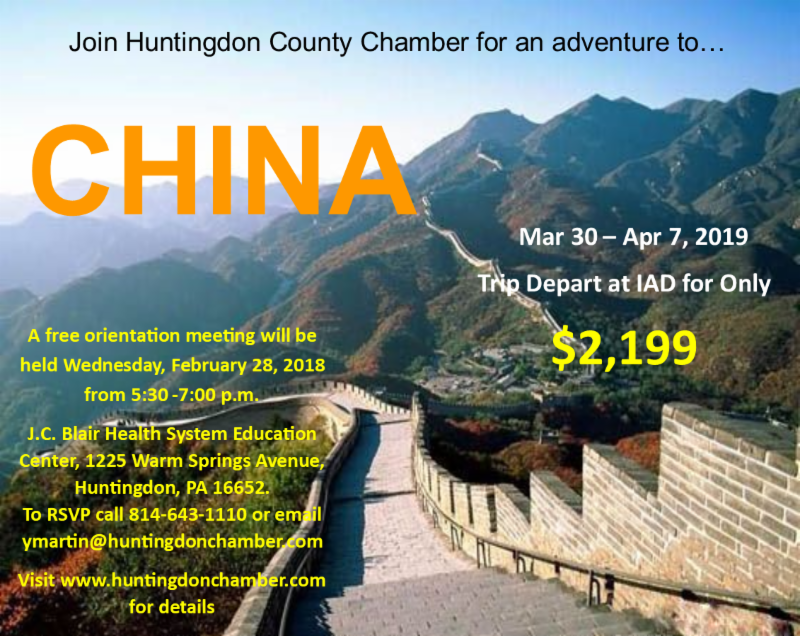 Email your job information to ymartin@huntingdonchamber.com and it will be shared on the Huntingdon, PA - Promotions & Activities Facebook page and huntingdonchamber.com. 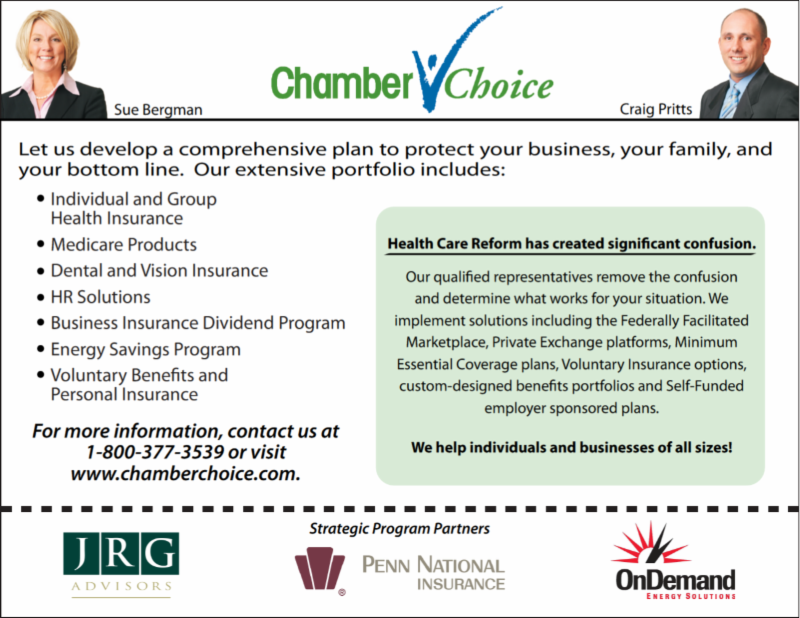 You can also add jobs anytime you wish to your information page on the Chamber's website. 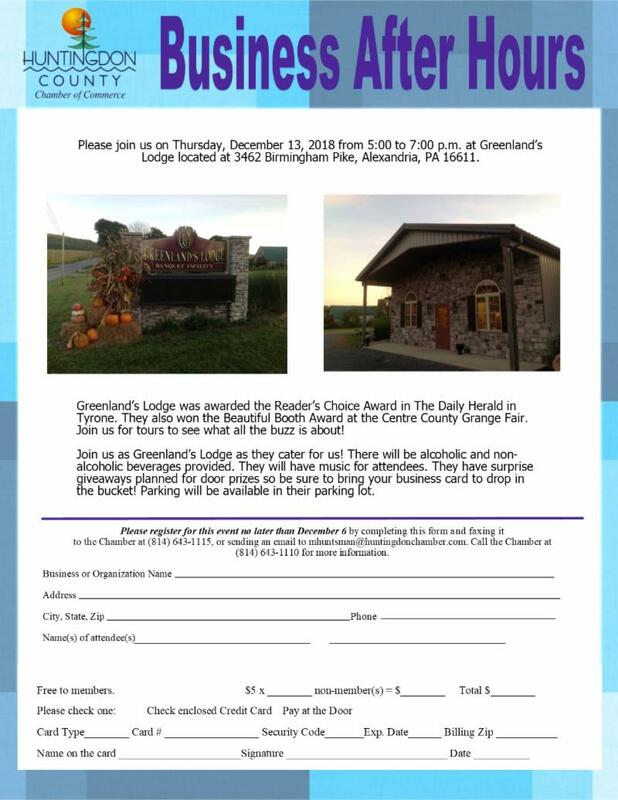 December 15 is the absolute deadline to register for this amazing trip! 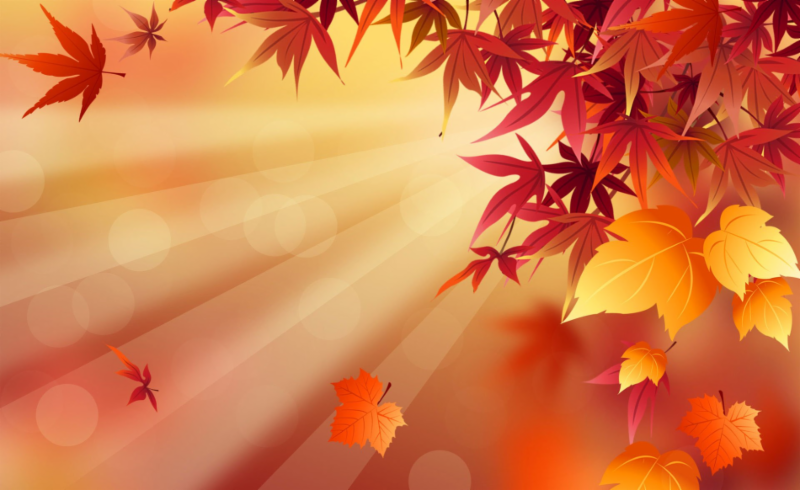 Looking to start an endowment or to support community efforts? 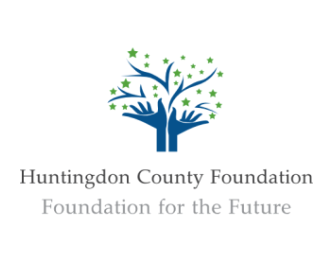 Click the logo above to learn more about the Huntingdon County Foundation.